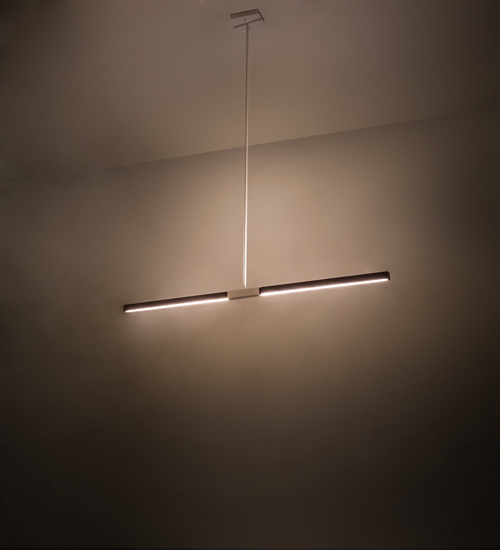 Description: A sleek linear pendant that is ideal for delivering functional lighting, Trax features a White Opal Glass diffuser that is embraced by a steel frame featured in a faux Maplewood finish. Dimmable Integral LEDs deliver energy efficient illumination. The pendant is created by highly skilled artisans in our 180,000 square foot manufacturing facility in Upstate New York. Custom sizes, designs and colors are available, as well as dimmable, energy efficient options including LED. This 6 foot long fixture is UL and cUL listed for damp and dry locations.